For the past couple of years, this blog has been involved in helping bring awareness to an evil system of “Child Protection Services” in Norway called the Barnevernet. Sadly, many of the intellectuals in Norway are silent. More difficult to believe, the vast majority of the Christians and Christian leaders are silent. Since these two say little, of course, the vast majority of the media does nothing. Here are a few highly educated Norwegians who understand well what is happening in their country and they are not afraid to talk about it. There is a similar problem in the U.S. but we still have due process for the most part. If parts of the U.S. CPS system ever becomes as much of an industry as the Barnevernet (and some might argue that certain offices already have), I hope a much better percentage of intellectuals come forward in the U.S. than we have seen in Norway. Lastly, but happily, I am able to note that one of the people so involved in trying to help people see the truth has made more than several comments on this blog. Professor Marianne H. Skanland, featured in this short video, is as well aware of the problem as anyone. After hearing many people speak about the situation in Norway, I feel she has the best view of the situation that I have heard. I have learned a lot from her. I wish the people of Norway the best. In the video, Marianne notes two positive things that have happened to help those affected cruelly by the Barnevernet. The first is the internet. I wholeheartedly agree with her. This issue is getting quite a good amount of attention online. 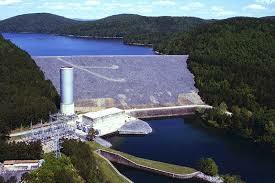 The second is international protests that have put pressure on Norwegian leaders. Sadly, this has waned in the streets of other countries, but there has been a noticeable increase in social media activity. It has been slow to develop but more people are learning of this problem daily. Marianne has always warned me that this is a worldwide problem, not just something happening in Norway. She has referred me to more than one good book on “psychology” in America. The book that I read was authored by an American where “the author exposes the misguided beliefs and shoddy practices used by most psychotherapists. 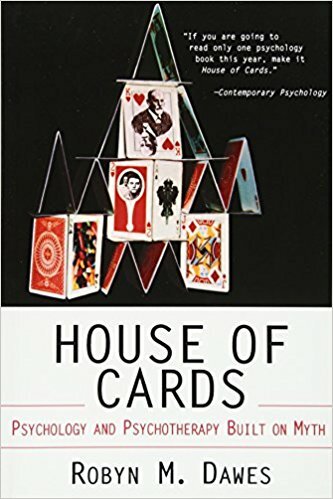 He examines the pop psych beliefs and explores the debilitating effects they have on everyone.” (Quote from the Amazon ad) The Entire title of the book summarizes its point nicely: House of Cards, Psychology and Psychotherapy built on Myth. People in all nations need to be vigilant. Our children’s lives, thus our future, is at stake. Even if this wasn’t a “future” problem, we must be kind enough to treat our children with the dignity and understanding they deserve. YOU CAN READ THE REST OF THE ARTICLE FROM CERN HERE. Science does not have all of the answers and I understand Christianity is no different. However, some give science way too much credit, I think, when scientific proof is a myth. At least, THIS ARTICLE says so. I have come to respect Pastor Jim’s selection of blog posts. He is a welcome addition to my blog roll. Doesn’t it only make sense that as God created all things that true science would eventually line up with God’s Word? Daniel R. Zuidema. Chemistry. Phillipsburg, NJ: Presbyterian and Reformed Publishing, May 31st, 2016. 48 pp. This is a booklet on a Christian worldview of the academic discipline of Chemistry that is part of the Faithful Learning Series published by Presbyterian and Reformed that provides an introductory look at various academic discipline from the perspective of the Christian worldview. This is the third book I’m reading in this series and I’m really enjoying this series. 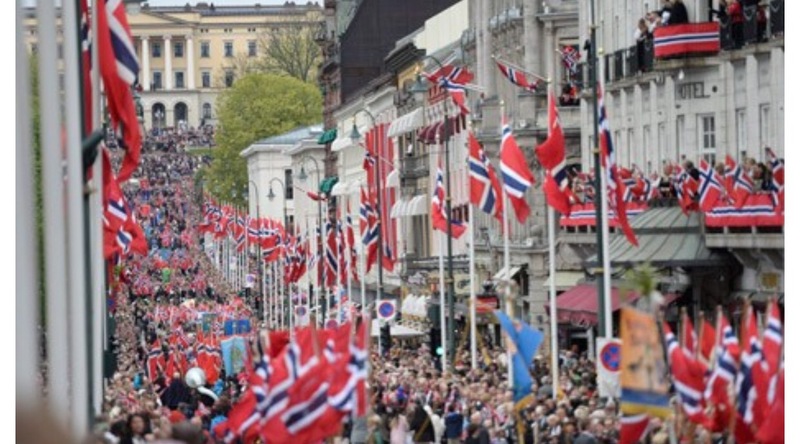 How to celebrate May 17th, Norway’s National Day is a very interesting article if you follow the blog links. Divine Sovereignty by Steven J Lawson is another theologically correct article which can be found on Sherryn’s blog, “The Narrowing Path.” It is an easy to read article about a deep subject. 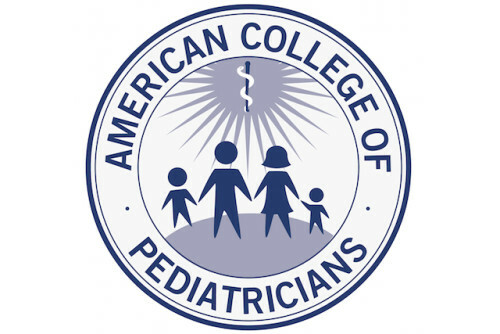 American College of Pediatricians Slams Transgender Agenda in Children is an article from Dr. Chris Prunean’s Blog “Delight In Truth.” You will certainly not find this interesting article about the transgender subject anywhere in the mainstream media. “Why not?” is the question I have. I’ve been to Jim’s blog several times in the past. From this article, we appear like minded in the most important ways. I may have to try to get my hands on a copy of this now as Dan C. is reading it and, as it appears it may have some information on the “Downgrade controversy” in Spurgeon’s day of which I am not aware, I am curious. Sermon Link: The Godhead Revealed by Dr Martyn Llloyd-Jones is a wonderful sermon that I found at Sherryn’s blog. Here is a man who knew how to rightly divide the Word of God. 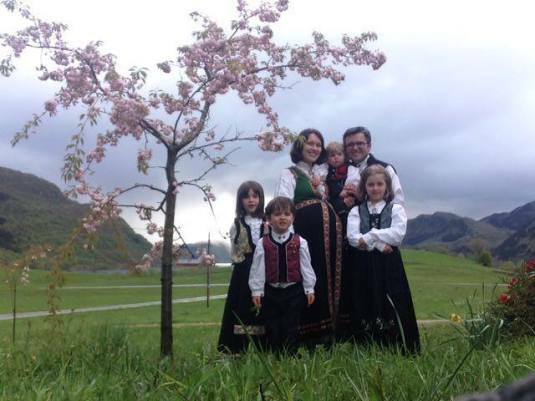 Gospel Herald – Norway’s Seizure of Five Children due to Parents’ ‘Bible-Based Parenting Style’ Questioned by Over 100 Lawyers and Politicians Worldwide is only part of the story of the wonderful Christian family pictured above. 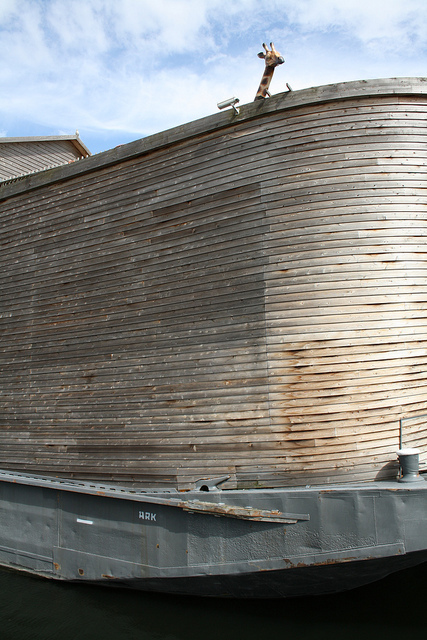 New DNA Study Confirms Noah is an interesting article by Brian Thomas, M.S. 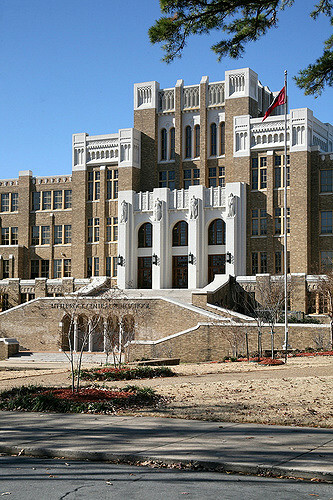 of the Institute for Creation Research. 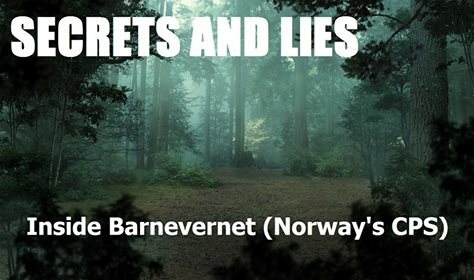 Steven Bennett – SECRETS and LIES – Inside Barnevernet, Norway’s CPS is an article about the sad reality of Norway’s Child Protective Services. 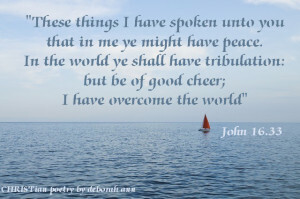 On Tranquil Seas ~ is Deborah Ann’s poem I chose to publish this week. This was a much needed drink at an oasis along my journey this week. God’s Word is, of course, my primary source of strength, but Deborah Ann’s Words are based on scripture. This was the favorite verse of a college friend who went on to become a pastor. May the God, our Creator and the Creator of Heaven and Earth, bless your week. Evolutionary teachings hold that all mankind arose from a population of ape-like ancestors from which chimpanzees also evolved. But Genesis, the rest of the Bible, and Jesus teach that all mankind arose from Noah’s three sons and their wives. A new analysis of human mitochondrial DNA exposes two new evidences that validate the biblical beginnings of mankind. Mitochondrial DNA comes from mothers. Mother egg cells transmit their mitochondrial DNA (mtDNA) into the cellular mitochondria of every child born. This unique annex of DNA contains 16,569 bases—either adenine, guanine, cytosine, or thymine (A, G, C, T)—that encode vital cellular information, like an instruction manual. Scientists have been comparing the genetic differences between every major people group around the globe. How did those differences arise? SEE THE REST OF THE INSTITUTE FOR CREATION RESEARCH ARTICLE HERE. This was an interesting week on the computer in many ways. 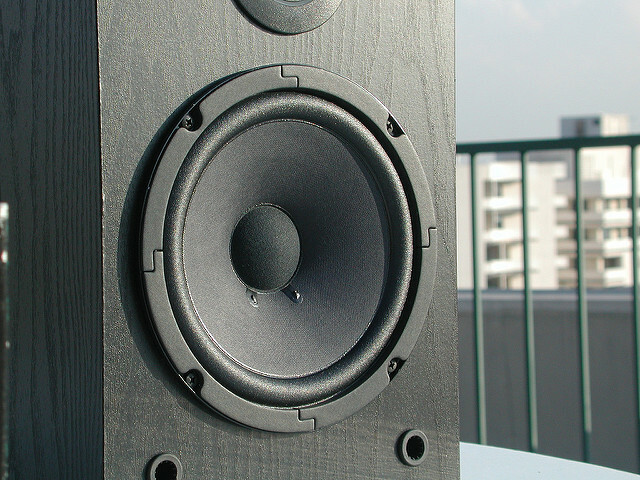 On the blogging front, lots of interesting material became available this week. As most of us think our Mom’s are “The Best Mom in the World,” Mother’s Day began with this post. It is one of two pieces I wrote this week. 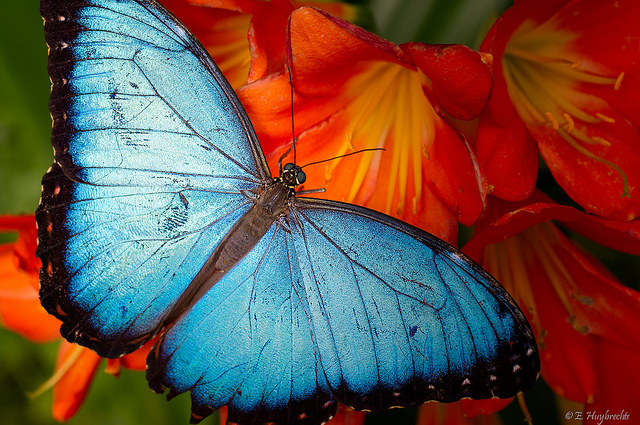 The Universe Has Been Carefully Dialed to an Astonishingly Precise Value is one of two posts taken from Sherryn’s outstanding discernment blog called: The Narrowing Path. Melbourne completes coverage of Australian Demonstrations does just that. We head off to another continent next week. NO DUE PROCESS IN AMERICA? discusses a time in America where some Americans had just that. It was my second shot at writing this week. Home School Legal Defense Association Publicizes the Bodnariu Case was found at Valeria’s blog this week. The HSLDA, an American organization, put together the best short documentary about the Bodnariu family that I’ve seen. 4 Empty Beds in Norway: 4 of Thousands is a repeat of the HSLDA video because I like it so much. Bono Meets Eugene Peterson is an well-researched Herescope article on the two giants. Peterson thinks it is OK to add to God’s Word. Lead me Lord by Gospel Trumpet Singers is a prayer in the form of a beautiful song. My Friend Ken and CPS Recorded/Vibeke Speaks is an actual recording of Ken Olsen and the mother of his child, Vibeke Morrissey, and their encounter with a CPS worker. Can a man change a man—short answer-NO, only Jesus can change a man. is another educational word study by Manny Rodriquez, my blogging buddy. NORWAY…A COUNTRY WHERE EVEN ART IS UPSIDE DOWN!!! is a verbal work of art about a hanging work of art. Ken Olsen is very creative. Russian Officials Speculate That a Nuclear War Could Leave Romania a “Smoking Ruins” comments on Putin’s Push because of a weak American Foreign Policy. 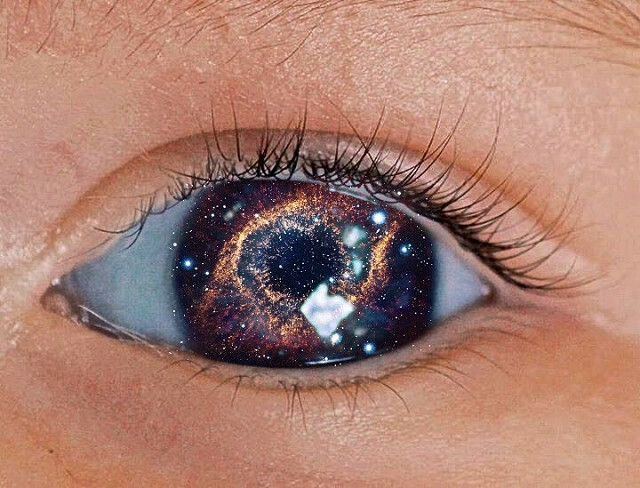 Why do we want to look like the world? is a question all Christians should ask themselves. Dan C. writes on the subject. THE TRUTH ABOUT THE CONSTITUTION is a timely piece about revisionism. Thank you for posting this, Manny. We all need to read all of it. 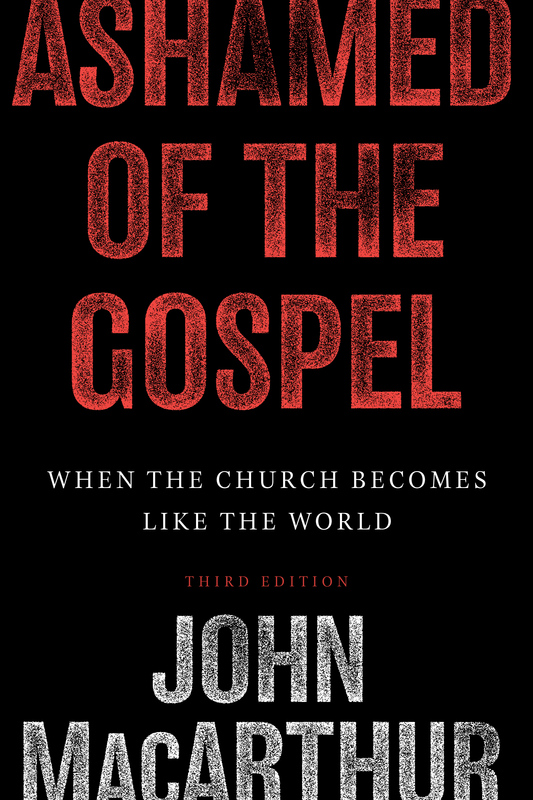 The Dangerously Influential Gospel of Tim Keller is important information in this era of wolves among the flock. Sherryn has posted information about a false teacher that many know of. Interestingly, Keller wrote the forward to the recent biography of Dietrich Bonhoeffer. This Light of Mine ~ is a Christian poem by Deborah Ann Belka. No week would be complete without reading something from Deborah Ann. Some good times were had with the kids this week. Got to help the Special Ed kids at Fountain Lake on Field Day. We got wet, we jumped in the bounce houses, we enjoyed the sunshine. I took care of this week’s best joke of the day. So…What do you call a friendly school?